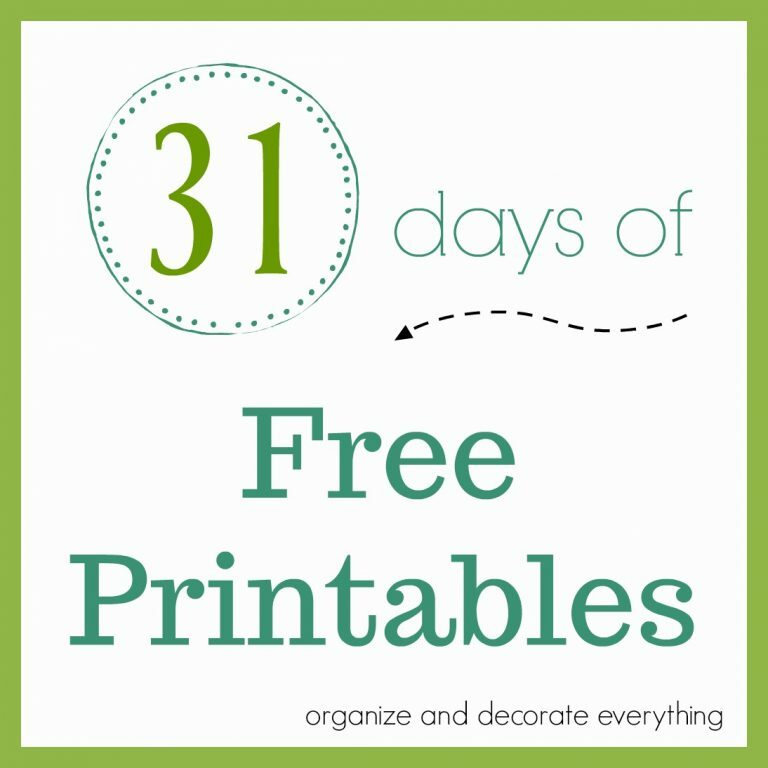 Welcome to day 16 of 31 Days of 15 Minute Craft Projects. I have always wanted to make something with leather so I thought I’d start with making something really simple and work my way up to harder leather projects. 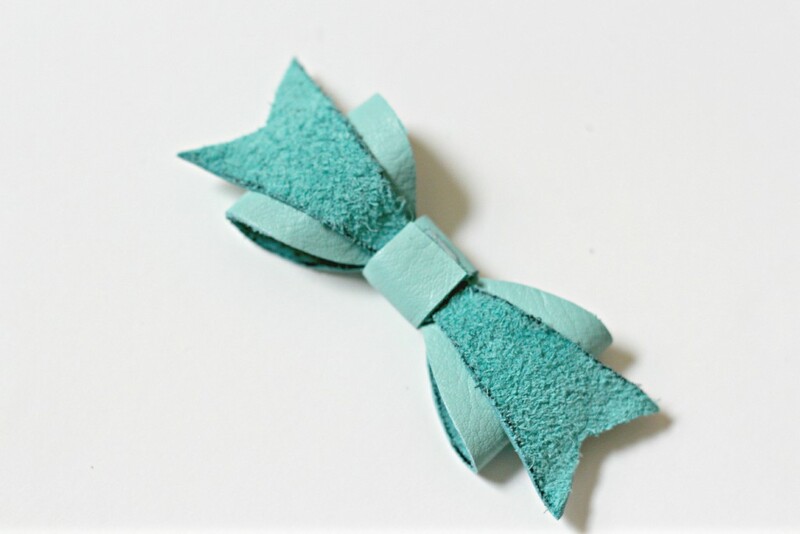 I wanted to make a bow because my daughter wears buns or pulls her hair back often and she loves to wear bows to match her outfit. 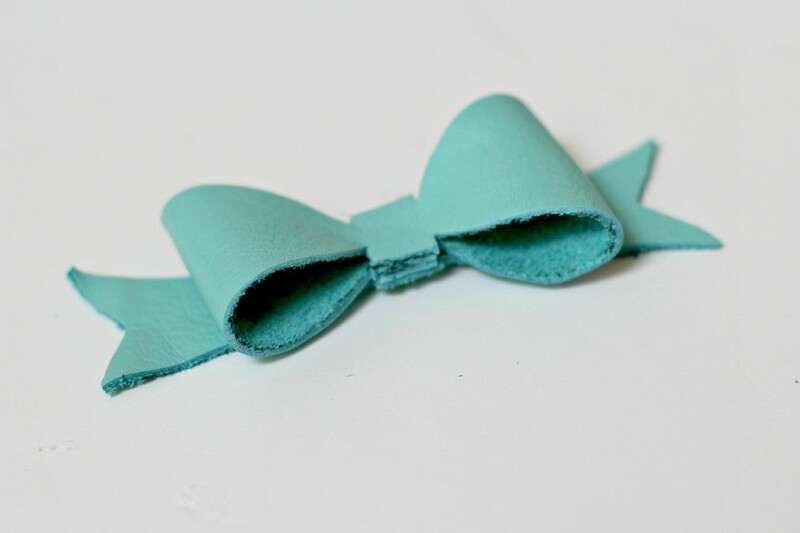 She has made some really cute fabric bows (you should check them out). 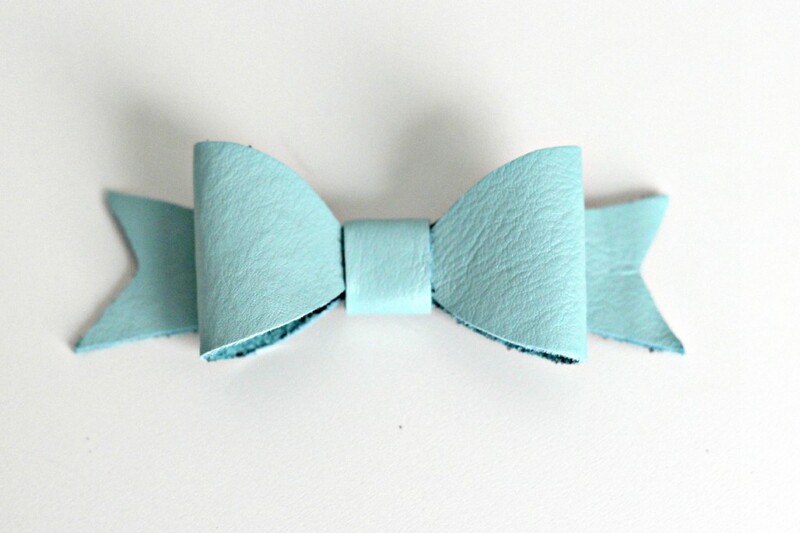 I love the look and the texture of the Leather Bow, plus this color is so pretty. I purchased the leather at Hobby Lobby. 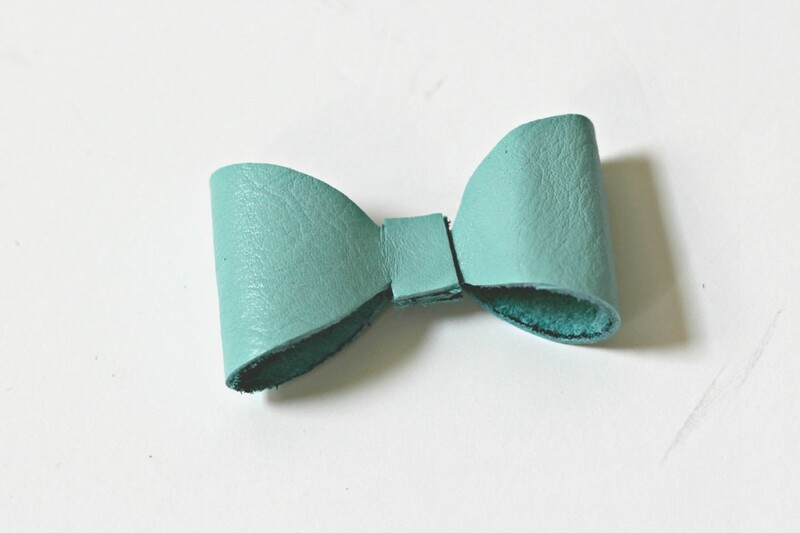 It comes in a package of leather scraps of 3-4 different colors and shapes. 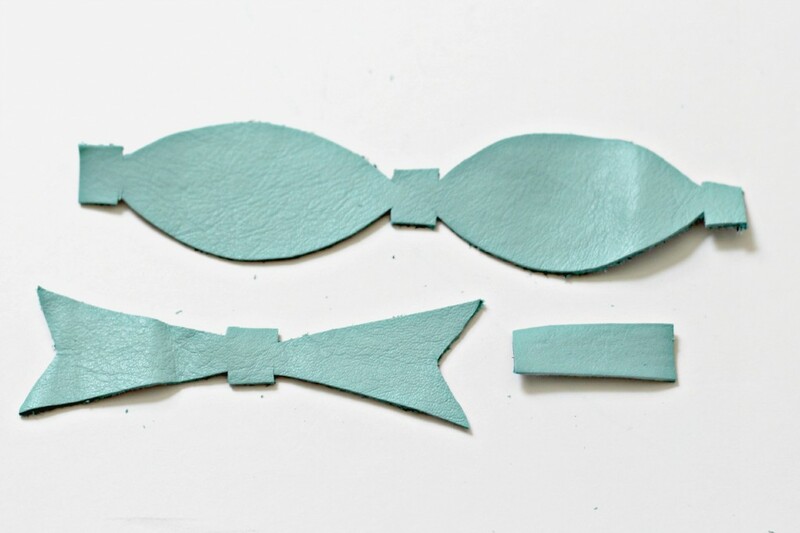 Trace the bow pattern pieces on the back of the leather. I adjusted the pattern a little by making the center of each piece 50% smaller and the back of the bow about 1/2″ smaller. 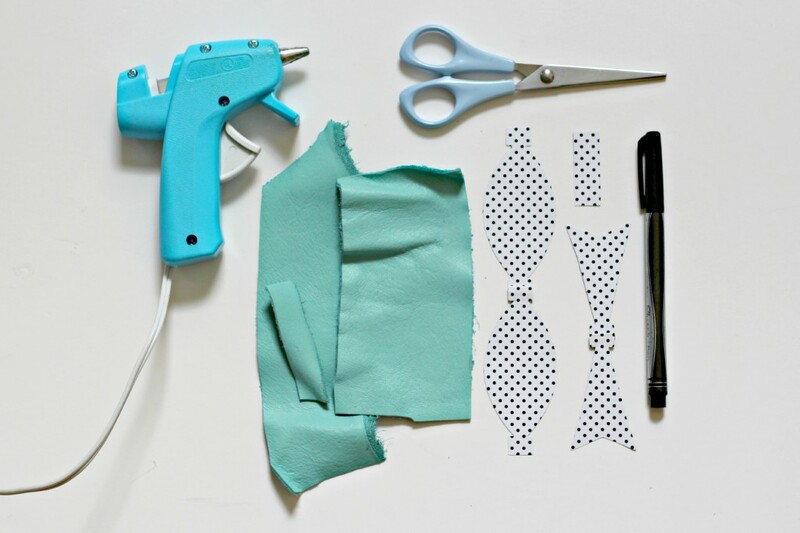 Cut all the pieces out using regular scissors. 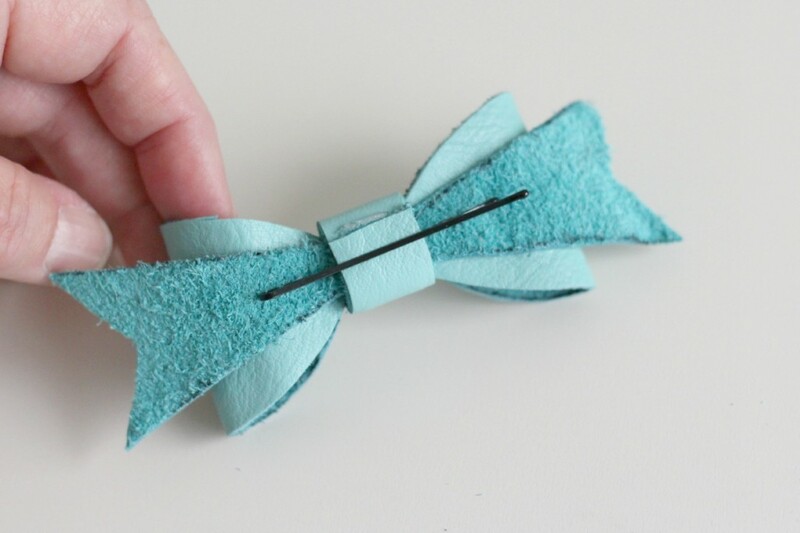 Bring the ends of the bow to the center and hot glue each end in place. Hot glue the top of the bow to the back of the bow. 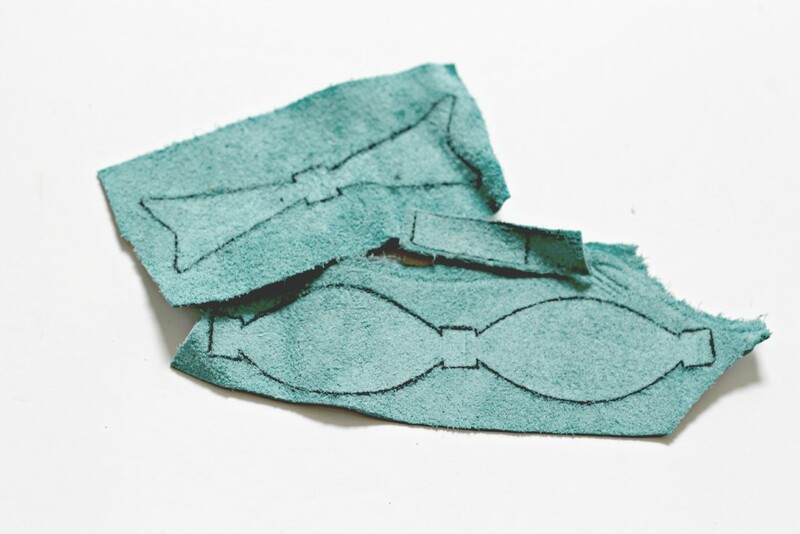 Then take the small piece and wrap it around the center of the bow. Hot glue it in the back. Do not glue it to the other pieces, glue the ends of the strip to each other so there will be a space to slide the bobby pin through. 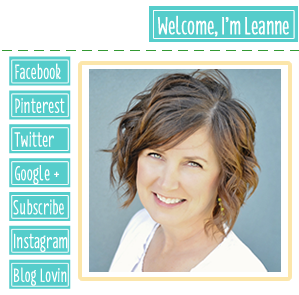 Slide the bobby pin through the center piece. Yeah! This is pretty adorable. 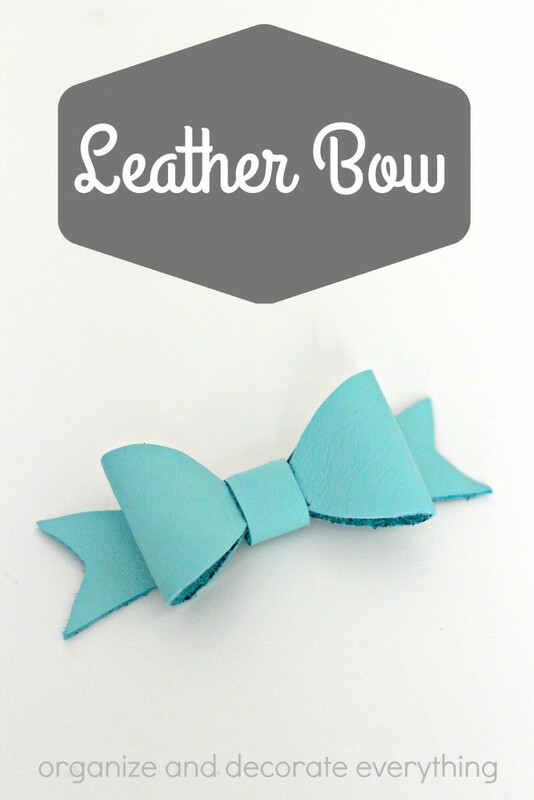 I have still have leather in brown and black so I’m going to make 2 more bows for my daughter. They will be perfect stocking stuffers for Christmas. Have you made anything with leather? What should I try next? 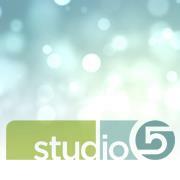 Are you ready for another 15 minute craft? Come back tomorrow so you don’t miss anything. 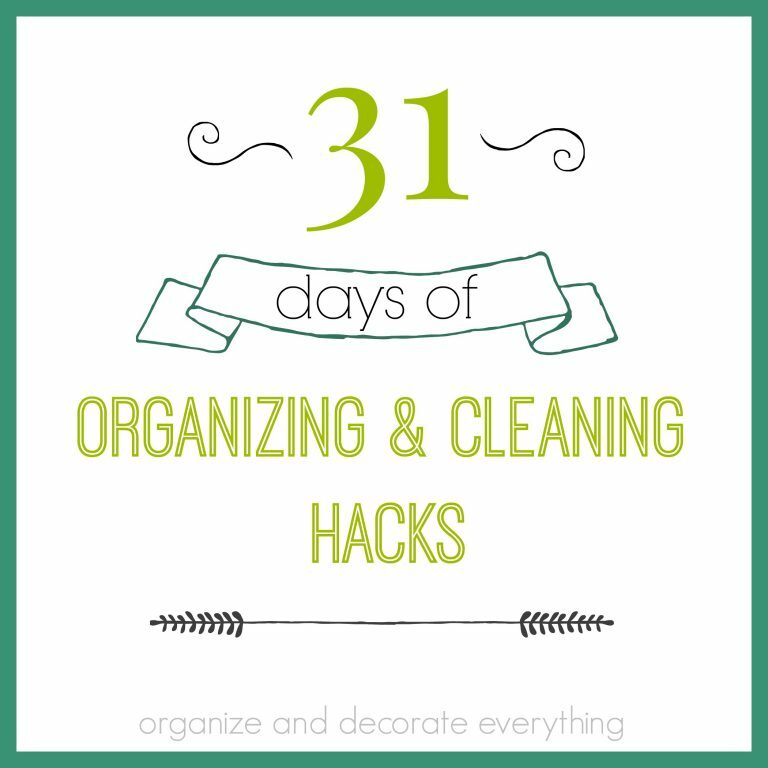 Remember to use the hashtag #15minutecrafts on Instagram for the chance to be featured. 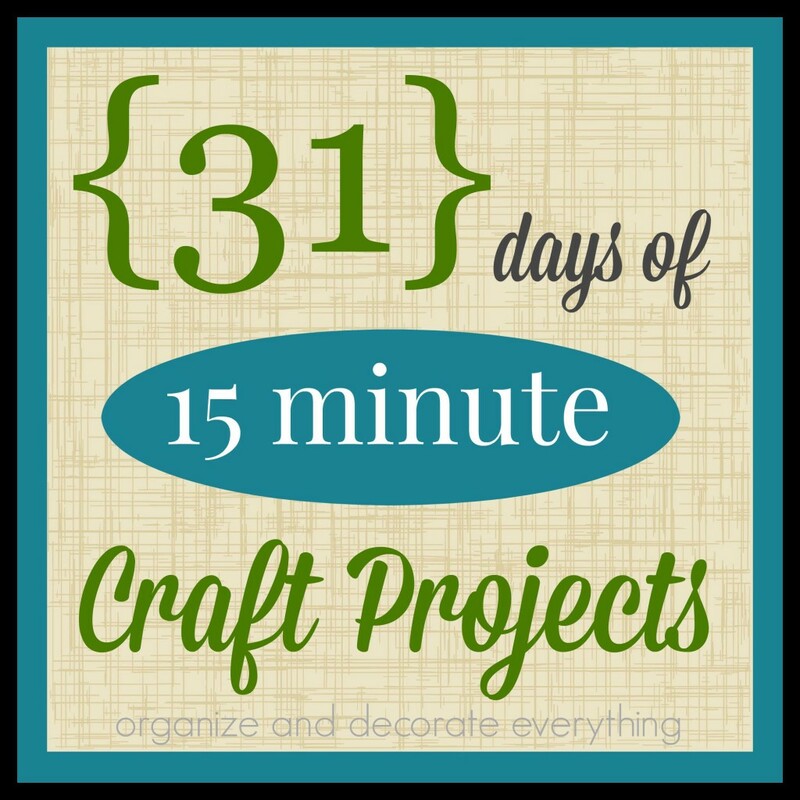 All the projects will be listed and linked on the 31 Days of 15 Minute Craft Projects Introduction page if you miss anything. Looks great. I’m a fan of bows too! I love the colour of this one!